McCrea's offer a friendly professional service allowing both individuals and businesses to benefit from our many years of experience, helping clients obtain the maximum benefits from their financial planning. We specialise in a range of different financial planning areas including investments, tax planning, retirement counselling and mortgages. Further information regarding the services McCrea's provide can be found at our website www.mccreafs.co.uk. If you wish to arrange a no obligation appointment to discuss your requirements and benefit from our years of expertise, call 0141 572 1340 or contact enquiries@mccreafs.co.uk. And why not follow us on twitter @mccreafs? 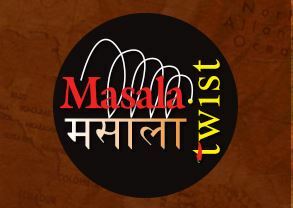 Masala Twist is an Indian restaurant and curry house set on the bustling Byres Road, in the heart of the city on Hope Street and on James Street, Helensburgh. It offers traditional Indian fare with a modern twist, making the most of the freshest local produce. The restaurant is fresh and modern with warm and friendly service. Masala twist is a favourite of all the West teams, especially after games where a great curry is always guaranteed. Williams Bros started brewing in 1988. Their first ale was inspired by a 17th-century Gaelic recipe for leann fraoich (heather ale). The heather ale is made using bog myrtle and heather flowers, and was named Fraoch, after the legendary Gaelic hero Fráech (or Fraoch). The ale was produced in a tiny brewery in Taynuilt railway station, which could make no more than five barrels per batch, just enough to supply five pubs across Scotland. As demand grew, the recipe was taken to the old Maclay's Brewery in the Scottish brewing town of Alloa. The company developed other historic ales, using natural Scottish produce such as elderberries, the shoots of Scots pine, seaweed and gooseberries. In 1998 the Heather Ale brewery moved to Craigmill, outside Strathaven in Lanarkshire. In 2004 the company moved again, to the Forth Brewery at Kelliebank, Alloa, where they are the last remaining brewery in the former Scottish brewing capital. 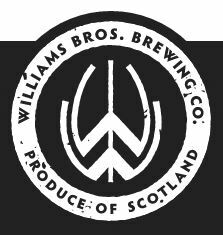 Following the move, the company rebranded as Williams Bros Brewing Co., and continues to expand its range. In 2016 Joker IPA was on tap at behind the bar at Hamilton Crescent and has been a firm favourite with players ever since. Many a jug of Joker has been down by the teams after matches.